I'm not 100% sure when it happened but Nars has totally become my current go-to brand for pretty much everything. I don't recall ever really being disappointed by a Nars product and they've always been reliable, but in the past year or so they've gone from being a background, reliable brand to being a brand I'm constantly following, and anything they release instantly peaks my interest. 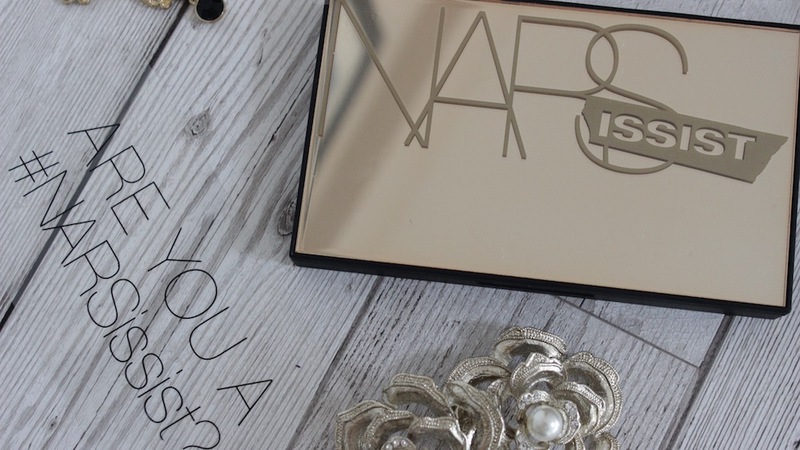 This palette - which seems to move about between being called the Nars Strike It Rich Eyeshadow Palette and the Nars Narsissist Loaded Eyeshadow Palette - was no different. To be totally honest it was that third shade in in the middle row that had me all *heart eyed emoji* but actually this entire palette is just beautiful - it's not one of those palettes where there's a few outstanding shades a few filler shades - there's literally not one I wouldn't use. 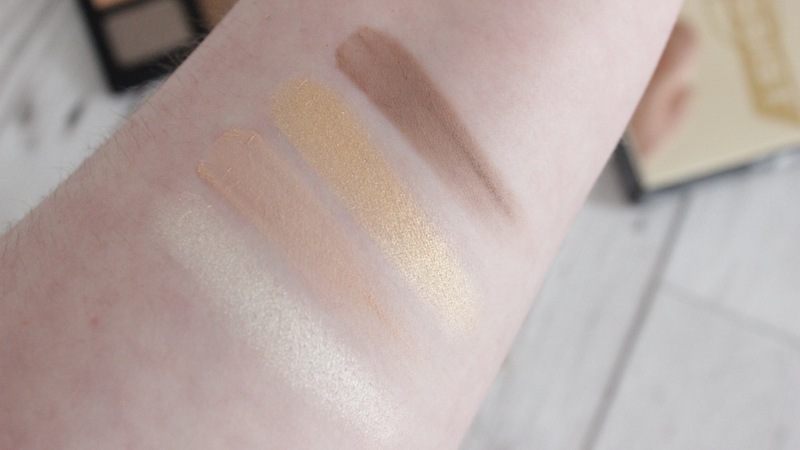 The top row (L-R) is made up of Newbury Street - white gold (shimmer) - which makes for a gorgeous inner corner highlight; Windsor - warm beige (matte) - which is an ideal base or transition shade; Priviledge - gold (metalic) - the swatch probably speaks for itself here, this shade is gorgeous; & Dover - neutral brown (matte) - which looks great in the crease with Windsor all over the eye, or even this on it's own all over for an every day look. 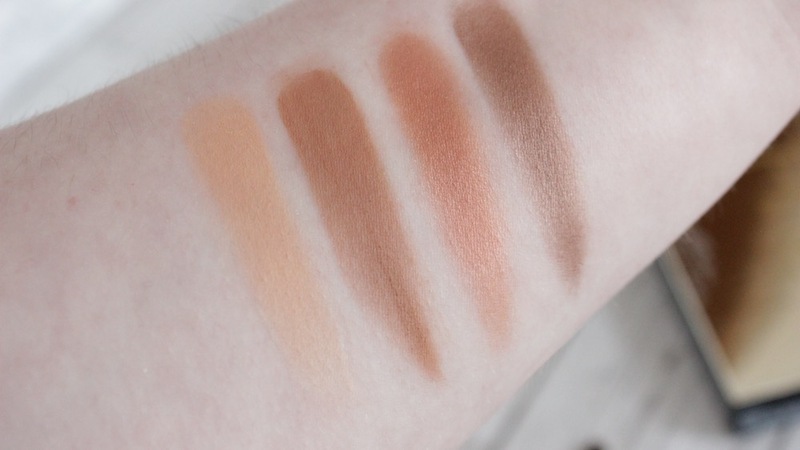 The next row (L-R) is Foix - peach (matte) - which is a great transition shade for those of you with a slightly darker skin tone than me, or just a great basic shade for a slightly more defined base than Windsor; Castille - umber brown (matte)- which I just love - it's beautiful and so versatile and easy to wear; Alnwick - copper (shimmer) - which is the shade that originally pulled me in. I adore this shade so, so much, it's absolutely beautiful but not at all over the top - every shade in this palette is wearable. The Harry Potter obsessive in me also loves that this shade is called Alnwick because some of the first films used Alnwick Castle as Hogwarts, I'm sure that's not why they named it that at all, but it makes me very happy! Lastly, there's Beaumaris - chocolate brown (shimmer) -which I would say is the shade I'm least excited by in the palette, but I still like it. The last row is made up of Splendor - pewter (sparkle) - which I think is incredible. I was so blinded by Alnwick when I first was researching this palette that I totally missed how beautiful Splendor is. It's absolutely gorgeous and I think it would look gorgeous on pretty much any eye colour and skin-tone. Next is Versailles - bronze (shimmer) - which again is gorgeous and really wearable and versatile. Its the sort of shade most make up lovers probably all already own, but that doesn't detract from how gorgeous it is. Finally, there's Montaillou - dark brown (matte) - which is incredible and super-pigmented, the swatch shows a little bit of fall out but when it's on a brush and you've got that extra control it doesn't fall out at all; and Reale - black (satin) - which again is super pigmented and blends like a dream. If, like me, you have hooded eyes you'll want a primer with the shimmer eyeshadows or they will crease, but when I've blended them out round and above my crease the shadows do fade slightly but they stick around so those of you without hooded eyes could probably afford to skip the primer. Overall I love this palette, I think all the shades are beautiful and wearable and the mattes blend as easily as the shimmers using a natural haired brush like a MAC 217. The shade selection is beautiful and there's not a dud shade in the palette. However, I don't think the shades, whilst they're beautiful, are ground breaking. I feel like each shade is probably one most people will already have in their collection - either through a single or another palette. What it comes down to is the selection of shades being in one travel friendly palette - ideal for throwing into a daily make up bag and versatile enough to take to work and move from a day to night look with one blending brush and one or two shades. 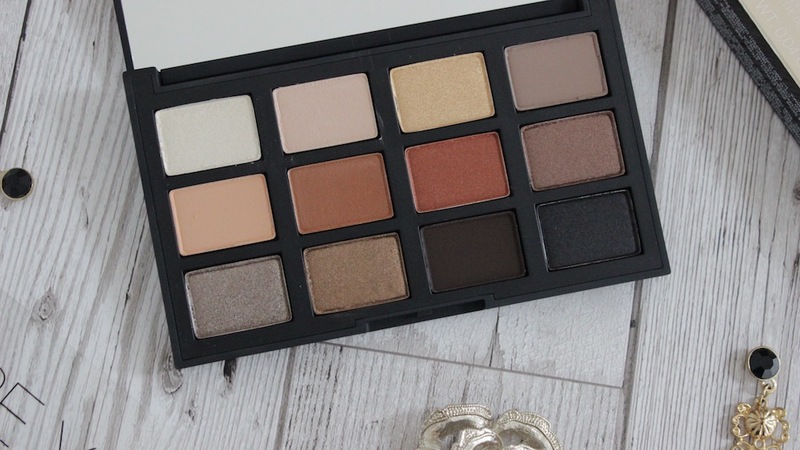 If there's a space in your life for a palette like this then this one is brilliant quality and, although at £55 it's not cheap, it's a palette where every shade performs and there's not one I don't think the average person will use so I think it's good value for money. I'd have no qualms recommending it and I'm glad I bought it. If you already own the shades and don't think you need them gathered in one place, then save your money. 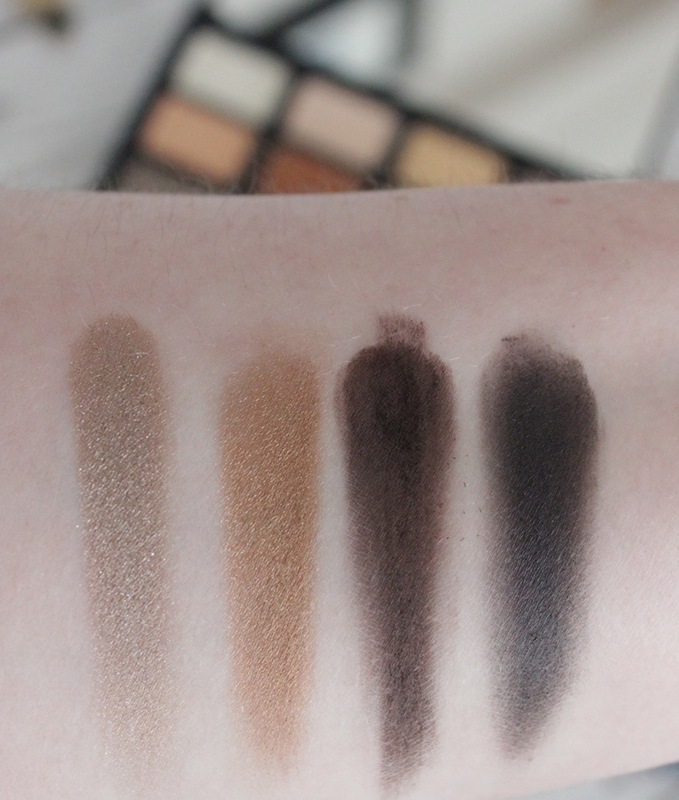 You know im totally with you its a gorgeous palette but its nothing special or new? and £50+ is a bit much for an eyeshadow palette even if it is wow!